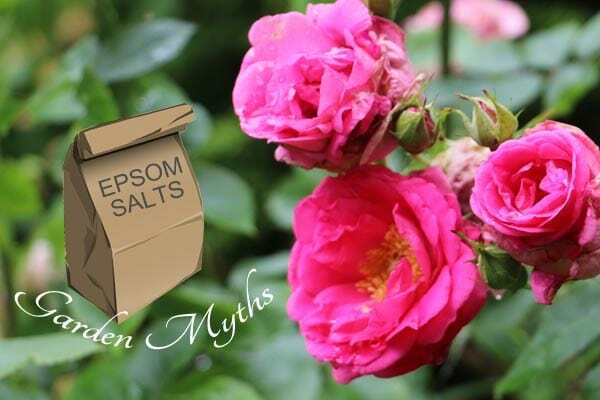 Are Epsom Salts Good for Plants or a Garden Myth? Are Epsom salts truly good for plants? The internet is filled with articles about how great they are for your garden, but is there any evidence that this is true? Let’s see what the research shows. This is part of a series on common garden myths and advice, and what the facts show. You’ll hear gardeners gush about the benefits of Epsom salts as a solution for, well, pretty much everything: more vibrant flowers, greater yields for veggies, sweeter tomatoes, pest control, weed control, greener leaves and so on and so on. Well, who wouldn’t want to use something so amazing in their garden? Only problem is, there’s really no evidence for any of this. Epsom salts will add magnesium and sulphur to your garden. That’s true. But the chances are your garden soil is not deficient in either of these things. As a fertilizer, Epsom salts are very limited. They don’t provide any nitrogen, phosphorus or potassium—the macro-nutrient NPKs of fertilizers (see more on Fertilizers for Organic Gardeners here). They do provide magnesium and sulphur, which are not in high demand by your plants, and adding more will likely be of no benefit. 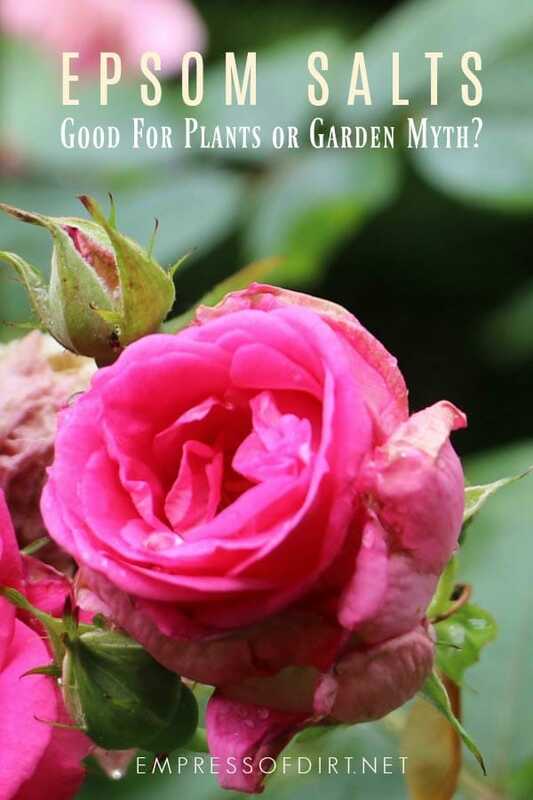 Espoma Rose and Flower Food (4-3-2), is an organic, slow-release fertilizer, perfect for roses. A soil test by a local laboratory will tell you for sure if your soil actually needs additional magnesium or sulphur and any other nutrients. Even if your plants aren’t getting the magnesium they need, there are probably better ways to address that problem than adding Epsom salts. Theoretically, you could even do harm to your garden by adding too much Epsom salts—excess magnesium can create deficiencies in other nutrients—and Epsom salts are highly soluble, which means they can get into groundwater where they can end up in rivers and lakes, and that’s not good for the environment. And, that’s on top of the environmental costs of producing and distributing the Epsom salts in the first place. All for something that will likely do no good in your garden. If you grow beautiful roses and you did add Epsom salts to the soil, it might be easy to convince yourself they were the cause. But, the best evidence we have is that Epsom salts just don’t deserve the credit you may be giving them. If nothing else, the roses probably did well despite them. The fact that no researchers can duplicate these results and professional rose growers don’t use them is a big hint that something else contributed to your success, not the Epsom salts. If you know someone who swears by them, see if they’ll consider all the other good plant care habits minus the Epsom salts. Unless there is a proven magnesium deficiency, which we know is uncommon, they can spend their garden money elsewhere and still have healthy plants. Thanks Melissa, very good information, i have used it but wondered why it didn’t do the job they say it is suppose to. I have heard you can’t believe everything you read on pinterest,lol!! Melissa, you make some good points about epsom salts. Down in south Florida, the “soil” is mostly limestone, which has a deficit of magnesium. Epsom salts will “green up” new fronds after application. Although it will do nothing for already yellowed fronds.